Income growth in recent decades has been limited, more or less, to the highest echelon of earners, a group that is overwhelmingly white. Out of every 1,000 households in the top 1 percent, only two are black, while about 910 are white. And so, as economic forces lifted the incomes of the 1 percent, the blacks on lower rungs of the economic ladder have been largely left behind. So while black Americans with high school diplomas and college degrees may historically be doing better, the predominantly white top 1 percent continues to pull away. We’ve known for a while that black Americans aren’t making economic progress. A recent report from the Economic Policy Institute, a left-leaning think tank, shows that the black-white wage gap is now the widest it has been since 1979. What’s more interesting, though, is how inequality has been increasing, and for whom. It used to be that low-skilled black workers suffered the greatest disadvantage relative to their white counterparts. But there has been a strange reversal in the past 40 years. EPI finds that the black-white wage gap has become wider — and is widening faster — among those with more education. This chart illustrates the history of the wage gap among men with less than 10 years of job experience. The early years are the most crucial in a person’s career, and also the most sensitive to fluctuations in the job market. Today’s PhotoMash is a stark reminder that many corporate CEOs live by different rules, which they tend to conjure up themselves. The PhotoMash comes courtesy of the Guardian on April 19, 2016. On the one hand we see Marissa Meyer, CEO of Yahoo since 2012. She has presided over the demise of Yahoo — loss of search business to Google, loss of ad share to Facebook, failed investments in new business ventures in the billions of dollars. Yet, since taking over Yahoo Meyer has taken home around $78 million. Further, she’s on the hook to collect another $59 million should Yahoo’s takeover spark her dismissal. Admittedly, Yahoo’s stock price has rallied in recent years, but most analysts attribute this solely to Yahoo’s stake in China’s Alibaba. One the other hand we have Sir Martin Sorrell, CEO of WPP. Over the last 30 years he’s built WPP from a small UK-based wire and plastics manufacturer, which he used as a shell company, into the world’s leading marketing and advertising services company. By current estimates WPP is valued at around $30 billion. Of late he’s been defending his latest compensation package estimated at $100 million. Both Meyer and Sorrell tell us they’re worth every penny of remuneration to their companies and shareholders. But while it could be argued that both are earning rather too much compared with the 99.999 percent, only one is deserving. And, that shows the crux of the issue — regardless of success or failure, most CEOs will always win. Image: Screen shot from the Guardian, April 19, 2016. OK, so I am thoroughly addicted to yogurt (or yoghurt, for my non-US readers). My favorite is the greek yogurt Fage, followed by an Aussie concoction called Noosa. Chobani doesn’t even make my top 5. 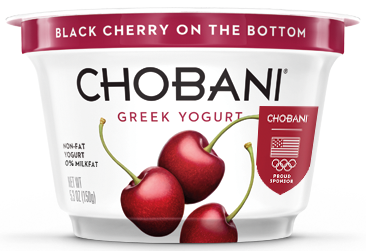 However, Chobani did something today, April 26, 2016, that made me want to cheer. The company founder, and majority stockholder, gave 10 percent of the business to his 2,000 employees. On average, each will get around $150,000; some, based on length of employment, will gain millions. I’ve built something I never thought would be such a success, but I cannot think of Chobani being built without all these people. Mr. Ulukaya is a role model for other business leaders, who would do well to follow his great example. Chobani offers us a vision that shows employer and employee working to win together. I may have to revisit Chobani and my yogurt preferences! The 2,000 full-time employees of Chobani were handed quite the surprise on Tuesday: an ownership stake in the yogurt company that could make some of them millionaires. Hamdi Ulukaya, the Turkish immigrant who founded Chobani in 2005, told workers at the company’s plant here in upstate New York that he would be giving them shares worth up to 10 percent of the company when it goes public or is sold. The goal, he said, is to pass along the wealth they have helped build in the decade since the company started. Chobani is now widely considered to be worth several billion dollars. Employees got the news on Tuesday morning. Each worker received a white packet; inside was information about how many “Chobani Shares” they were given. The number of shares given to each person is based on tenure, so the longer an employee has been at the company, the bigger the stake. Image: Chobani yogurt. Courtesy of Chobani. We are often told and then reminded that the rich are not that different from the poor. Though, the storytellers weaving these narratives are usually organs of the rich, of course. While I’m lucky to have had the education and initiative to rise above the poverty that my parents endured — I would categorize myself as “in between” — I have to gulp incredulously at the utter insensitivity of some who seem to have it all, and yet want more. One very rich gentleman reminds us that (some) rich people are indeed very different from the poor. Let’s look at Johann Rupert’s (owner of Cartier and other luxury brands) biggest fear, which would seem to be rather different from the more pressing fears of the poor, and for that matter, the remaining 99 percent (think: food, health care, shelter, transportation etc etc). The multi-billionaire owner of luxury jewellery company Cartier has revealed his greatest fear – robots replacing workers and the poor rising up to bring down the rich. Speaking at the Financial Times Business of Luxury Summit in Monaco (obviously), the fashion tycoon told his fellow elite that he can’t sleep at the thought of the social upheaval he thinks is imminent. According to Bloomberg, Johann Rupert told the conference to bear in mind that when the poor rise up, the middle classes won’t want to buy luxury goods for fear of exposing their wealth. He said he had been reading about changes in labour technology, as well as recent Oxfam figures suggesting the top 1 per cent of the global population now owns more wealth than the other 99 per cent. The US purports to be home of the free market. But we all know it’s not. Rather, it is home to vested and entrenched interests who will fight tooth-and-nail to maintain the status quo beneath the veil of self-written regulations and laws. This is called protectionism — manufacturers, media companies, airlines and suppliers all do it. Texas car dealers and their corporate lobbyists are masters at this game. The Lone Star State’s notoriously anti-Tesla stance—one of the strongest in the nation—is in many ways the direct legacy of powerful lawmaker-turned-lobbyist Gene Fondren, who spent much of his life ensuring that the Texas Automobile Dealers Association’s wishes were railroaded through the Texas legislature. That legacy is alive and well, with Texas lawmakers refusing to pass bills in 2013 and again in 2015 to allow Tesla to sell to consumers. Per the state’s franchise laws, auto manufacturers like Tesla are only allowed to sell cars to independent third-party dealers. These laws were originally intended to protect consumers against the possibility of automakers colluding on pricing; today, though, they function as protectionist shields for the entrenched political interests of car dealers and their powerful state- and nationwide lobbyist organizations. The anti-Tesla sentiment didn’t stop Texas from attempting to snag the contracts for Tesla Motors’ upcoming “Gigafactory,” the multibillion dollar battery factory that Tesla Motors CEO Elon Musk eventually chose to build in Reno, Nevada. Apparently being even minimally familiar with the matters one legislates isn’t a requirement to serve in the Texas legislature. However, Thompson did receive many thousands in campaign contributions from the Texas Automobile Dealers Association, so perhaps she’s just doing what she’s told. Chairman of the US Federal Communications Commission (FCC) was once beholden to the pseudo-monopolies that are cable and wireless providers. Now, he seems to be fighting to keep the internet fair, neutral and open — for consumers. Hard to believe. But, let’s face it, if Comcast and other telecoms behemoths are against Wheeler’s proposal then it must be good for consumer. After more than a decade of debate and a record-setting proceeding that attracted nearly 4 million public comments, the time to settle the Net Neutrality question has arrived. This week, I will circulate to the members of the Federal Communications Commission (FCC) proposed new rules to preserve the internet as an open platform for innovation and free expression. This proposal is rooted in long-standing regulatory principles, marketplace experience, and public input received over the last several months. Broadband network operators have an understandable motivation to manage their network to maximize their business interests. But their actions may not always be optimal for network users. The Congress gave the FCC broad authority to update its rules to reflect changes in technology and marketplace behavior in a way that protects consumers. Over the years, the Commission has used this authority to the public’s great benefit. The internet wouldn’t have emerged as it did, for instance, if the FCC hadn’t mandated open access for network equipment in the late 1960s. Before then, AT&T prohibited anyone from attaching non-AT&T equipment to the network. The modems that enabled the internet were usable only because the FCC required the network to be open. Companies such as AOL were able to grow in the early days of home computing because these modems gave them access to the open telephone network. I personally learned the importance of open networks the hard way. In the mid-1980s I was president of a startup, NABU: The Home Computer Network. My company was using new technology to deliver high-speed data to home computers over cable television lines. Across town Steve Case was starting what became AOL. NABU was delivering service at the then-blazing speed of 1.5 megabits per second—hundreds of times faster than Case’s company. “We used to worry about you a lot,” Case told me years later. But NABU went broke while AOL became very successful. Why that is highlights the fundamental problem with allowing networks to act as gatekeepers. While delivering better service, NABU had to depend on cable television operators granting access to their systems. Steve Case was not only a brilliant entrepreneur, but he also had access to an unlimited number of customers nationwide who only had to attach a modem to their phone line to receive his service. The phone network was open whereas the cable networks were closed. End of story. The phone network’s openness did not happen by accident, but by FCC rule. How we precisely deliver that kind of openness for America’s broadband networks has been the subject of a debate over the last several months. 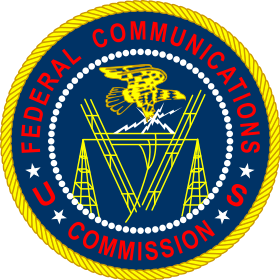 Originally, I believed that the FCC could assure internet openness through a determination of “commercial reasonableness” under Section 706 of the Telecommunications Act of 1996. While a recent court decision seemed to draw a roadmap for using this approach, I became concerned that this relatively new concept might, down the road, be interpreted to mean what is reasonable for commercial interests, not consumers. That is why I am proposing that the FCC use its Title II authority to implement and enforce open internet protections. Using this authority, I am submitting to my colleagues the strongest open internet protections ever proposed by the FCC. These enforceable, bright-line rules will ban paid prioritization, and the blocking and throttling of lawful content and services. I propose to fully apply—for the first time ever—those bright-line rules to mobile broadband. My proposal assures the rights of internet users to go where they want, when they want, and the rights of innovators to introduce new products without asking anyone’s permission. All of this can be accomplished while encouraging investment in broadband networks. To preserve incentives for broadband operators to invest in their networks, my proposal will modernize Title II, tailoring it for the 21st century, in order to provide returns necessary to construct competitive networks. For example, there will be no rate regulation, no tariffs, no last-mile unbundling. Over the last 21 years, the wireless industry has invested almost $300 billion under similar rules, proving that modernized Title II regulation can encourage investment and competition. Congress wisely gave the FCC the power to update its rules to keep pace with innovation. Under that authority my proposal includes a general conduct rule that can be used to stop new and novel threats to the internet. This means the action we take will be strong enough and flexible enough not only to deal with the realities of today, but also to establish ground rules for the as yet unimagined. The internet must be fast, fair and open. That is the message I’ve heard from consumers and innovators across this nation. That is the principle that has enabled the internet to become an unprecedented platform for innovation and human expression. And that is the lesson I learned heading a tech startup at the dawn of the internet age. The proposal I present to the commission will ensure the internet remains open, now and in the future, for all Americans. Image: Official US FCC government seal.